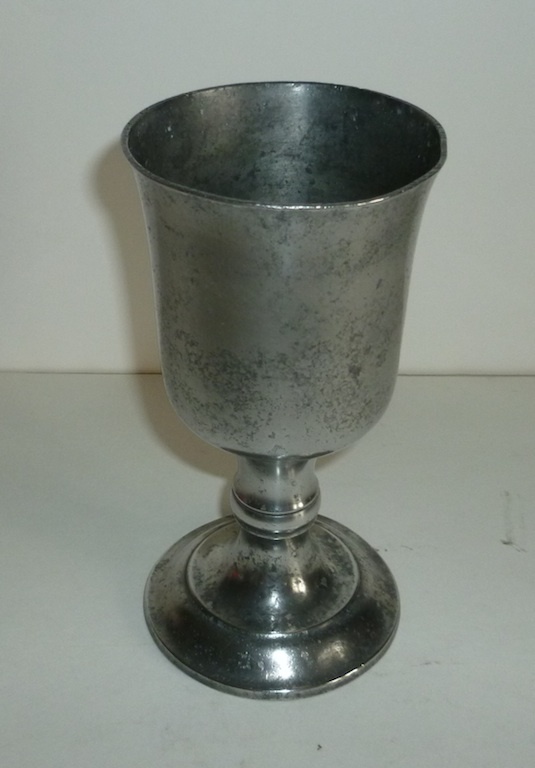 A good American pewter chalice by Thomas D. Boardman of Hartford, Conn. c1835. Boardman chalices are never signed. Top diam. 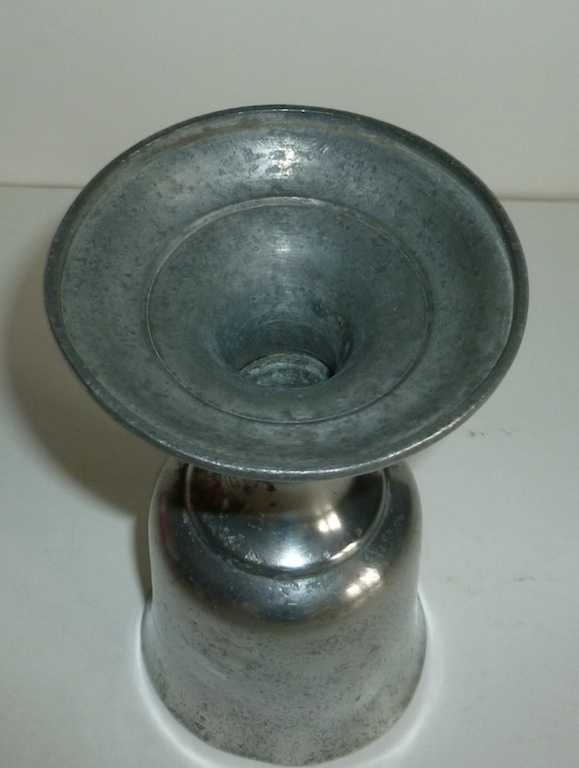 3 1/3", bottom diam. 3 3/4", height 7"